Corrected issue where orders placed through ToGoTechnologies.com were not properly displaying in Fresh KDS. Software Development Kit (SDK) - the Fresh KDS SDK allows for the integration between Fresh KDS and external systems using a universal and defined format. How do I use the KDS SDK? General bug fixes and stability/performance improvements. KDS Metrics - view detailed order analytics directly within the app. Improved performance of settings screen & corrected crashing issue on older tablets. 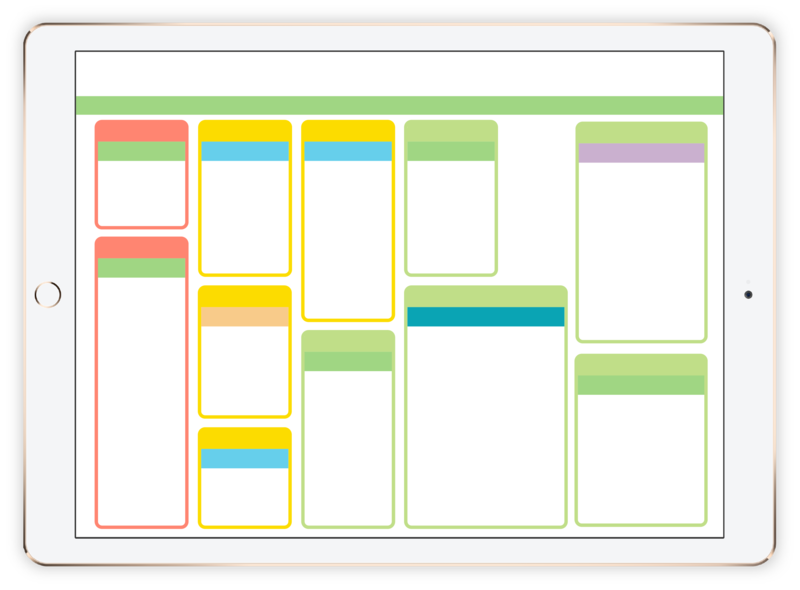 Tile View - view more tickets on the screen! Additional tickets are placed under the previous ticket before going to the next column (as space allows). How do I enable Tile View? Bump Bar Support - we now support Bematechus/Logic Controls KB1700 USB bump bar when using an official apple Lightening to USB adapter. Active Ticket Count - total number of active tickets are displayed on the Fresh KDS orders screen. Increased Volume - order alert tone is now louder. Update Notifications - improved messaging/notifications when updates are available for the app. Metrics Per Screen - the Fresh Tools online dashboard now displays metrics for each screen (rather than per location), allowing for more detailed reporting. Metrics Time Settings - Order Mode time settings from the Fresh KDS app are now reflected in the Fresh Tools online dashboard when viewing average ticket times. 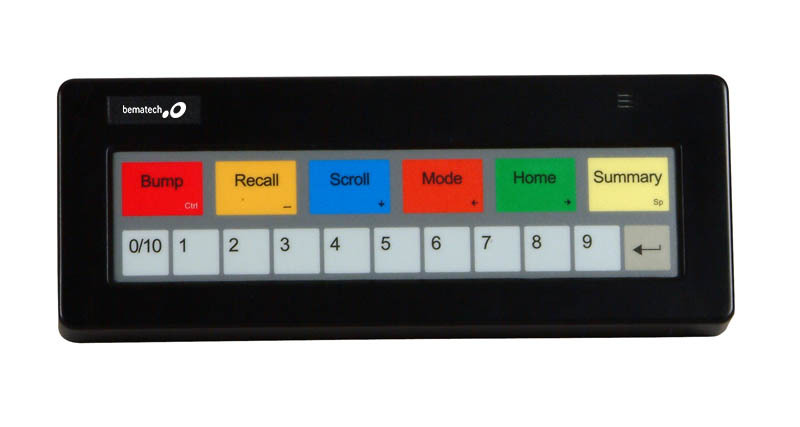 "I'm Here" Feature - when integrated with ToGoTechnologies.com, Fresh KDS now notifies you when the customer has arrived to pick up their order (via an on-screen display and sound alert). Replace a Screen - replace an existing KDS screen with a new one once an account has reached its maximum. Take-Out View - route tickets to a second view on the KDS screen to keep track of orders waiting for pick up. This view also provides additional vehicle information for Curb Side orders placed through ToGoTechnologies.com. 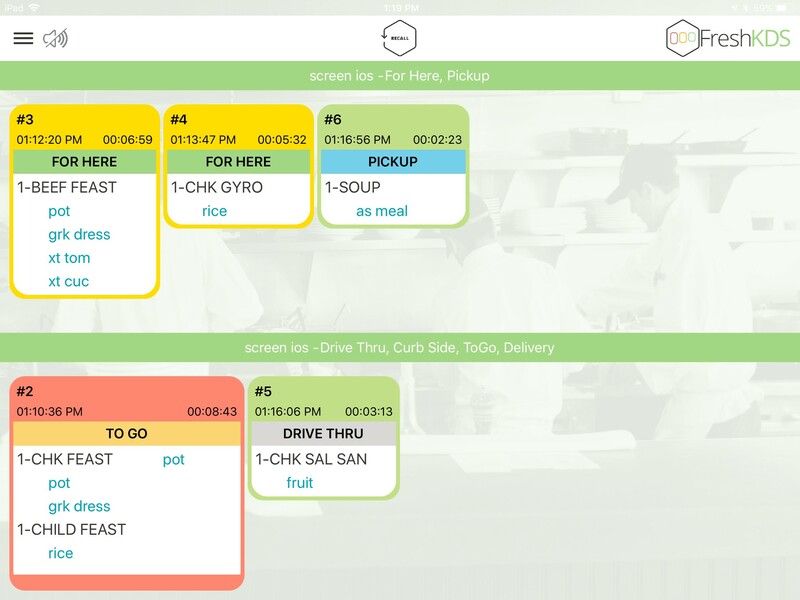 Although the Take-Out View tickets display the time open, the color of the tickets do not change as time passes, and ticket times do not impact the overall KDS metrics. 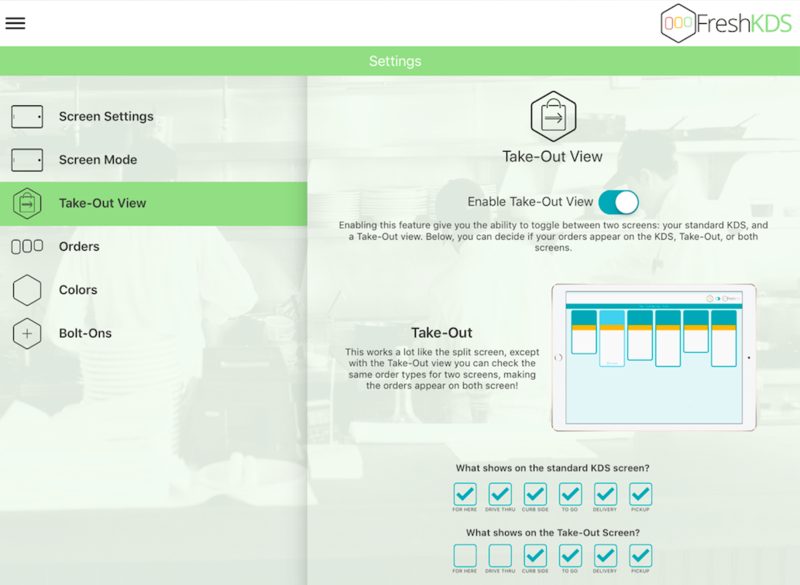 How do I enable Take-Out View? 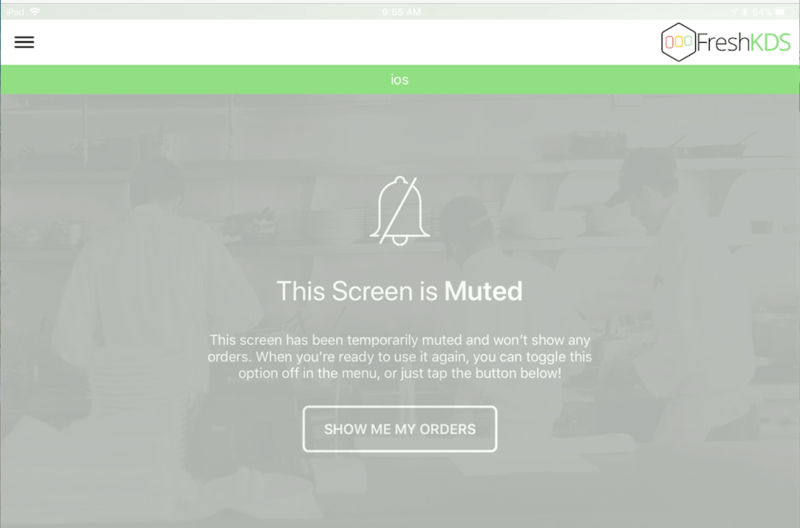 Mute Orders - temporarily disable a screen while it is not being used without causing printer errors on the POS. Since a Muted screen will not receive any orders there is no need to bump orders and the screen will not affect the reporting metrics. How do I activate the Mute Orders feature? Screen Timeout - the app now disables the tablet’s power settings, which means when the KDS app is open the tablet will not go to sleep. 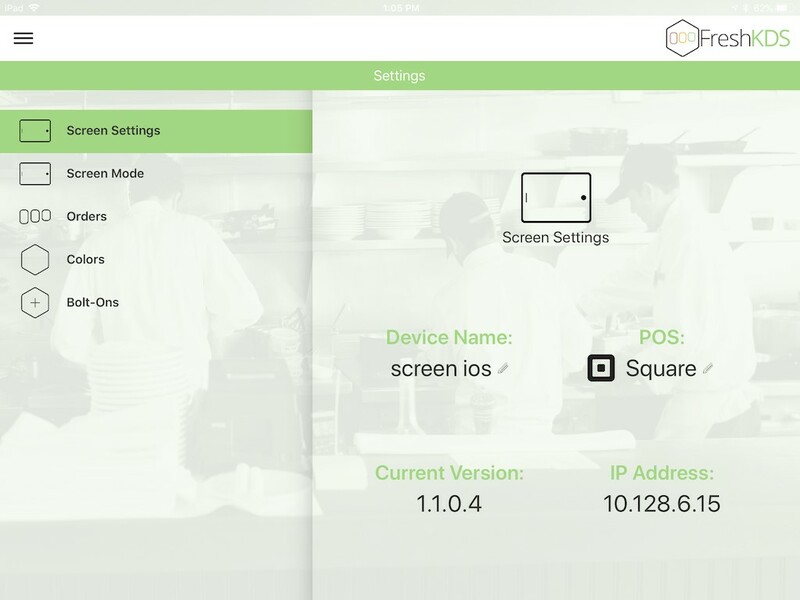 Square for Restaurants Integration - added support for tickets from the Square for Restaurants app. Thank you to our customers who offered feedback on the initial release! Based on your feedback we have made some big improvements to Fresh KDS. Check out the list below! Sound Alerts - option to enable a sound notification as orders come in. "Dark View" Theme - features a dark background and solid ticket colors. 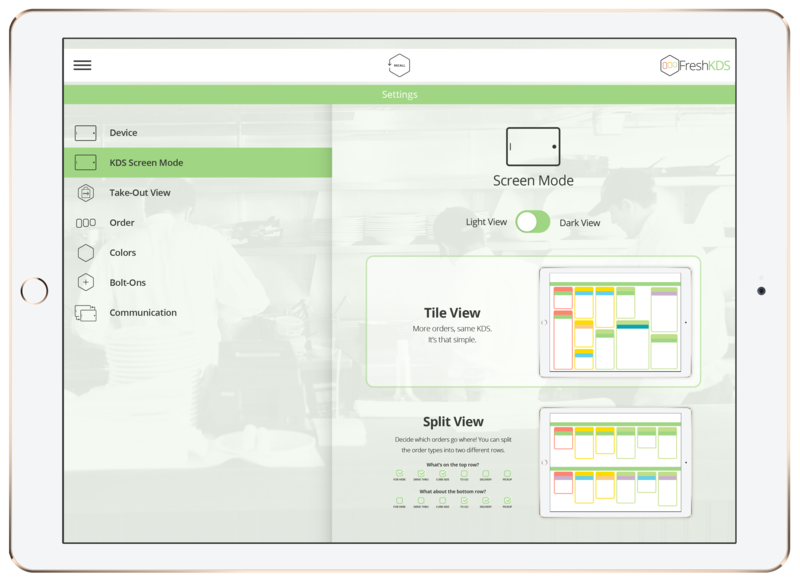 Split Screen View - divides the screen into two sections, allowing different order types to appear on different rows. Caution and Late Times by Order Mode - adjust time it takes tickets to change color based on order mode. Improved Integration with ToGoTechnologies.com - displays order source for tickets received via ToGo. 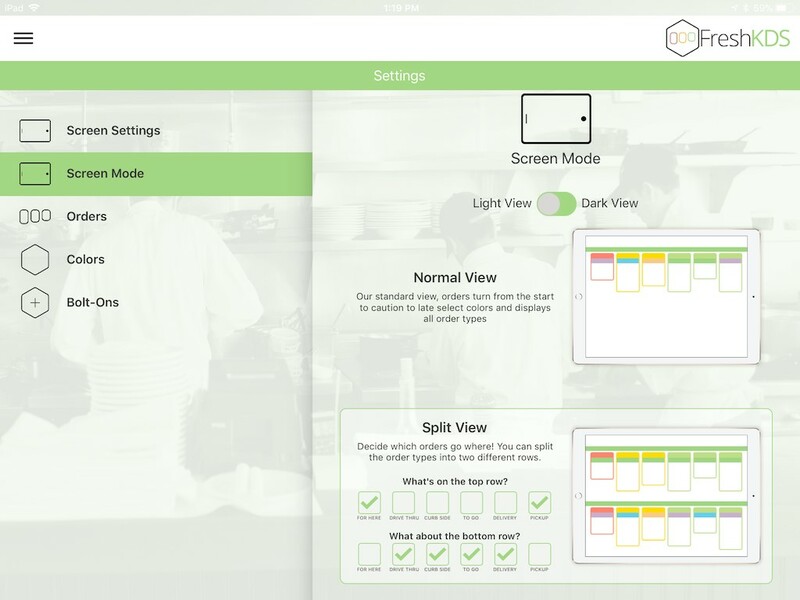 Option to Restore Default Colors - resets color settings for order mode, order part and order status. Add Brand - ability to add a new brand from a user account. Fixed how modifiers from ToGoTechnologies.com are displayed. If you need help updating, check out How do I update the Fresh KDS app? in the Help Center. Excited about these improvements? Send some love to the team!